LG promised us Lollipop and the company is today delivering on that promise. 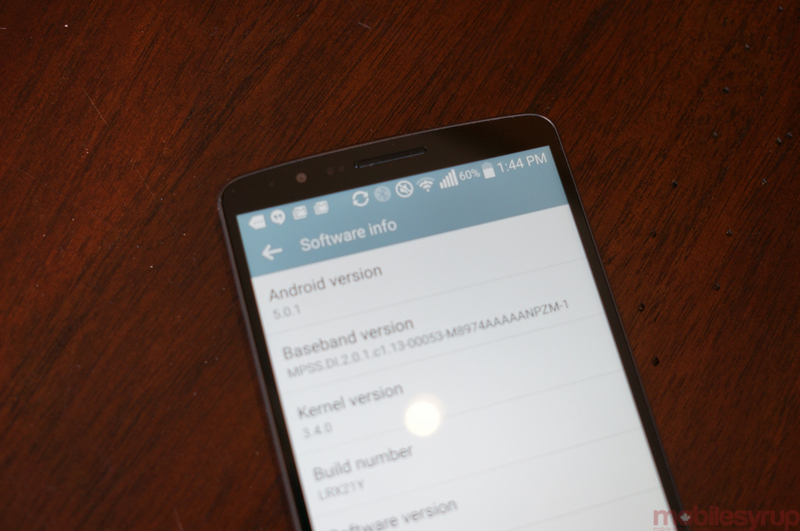 Canadian users of the LG G3 can now go forth and download Android 5.0 as the update has started to rollout across all carriers today. We’ve been informed that Rogers and Bell users have received notifications and the update should be hitting TELUS Fido, MTS, Sasktel and Videotron users shortly. Check your G3: Menu >> Settings >> About device >> Software update >> Update.